As a homeowner there are just a handful of things in our home that if/when we ever move into a different home I will likely have a little checklist of possible “upgrades” from our current home. One such item is our pantry. I am so grateful to have one! 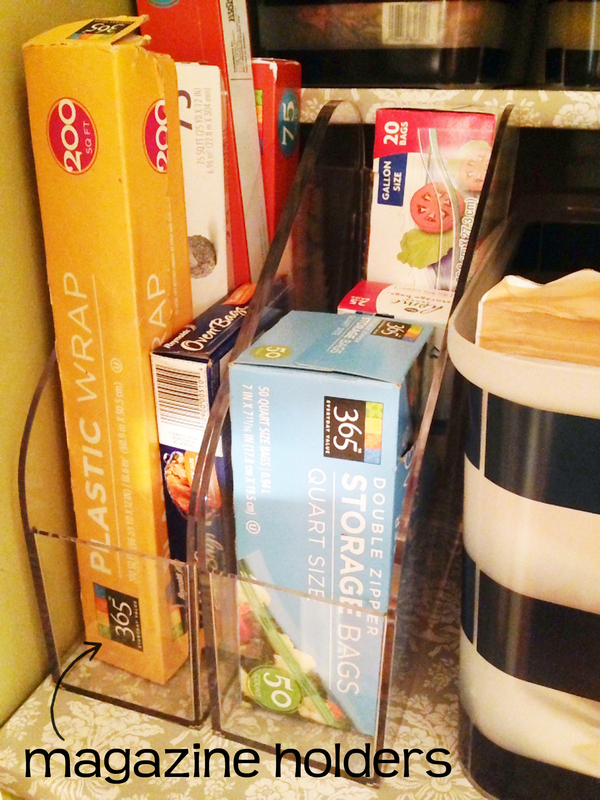 However, our little pantry is just that… little. Nonetheless, I am a HUGE advocate for the “use what you’ve got” rule of thumb when it comes to organizing or refurbishing a space. 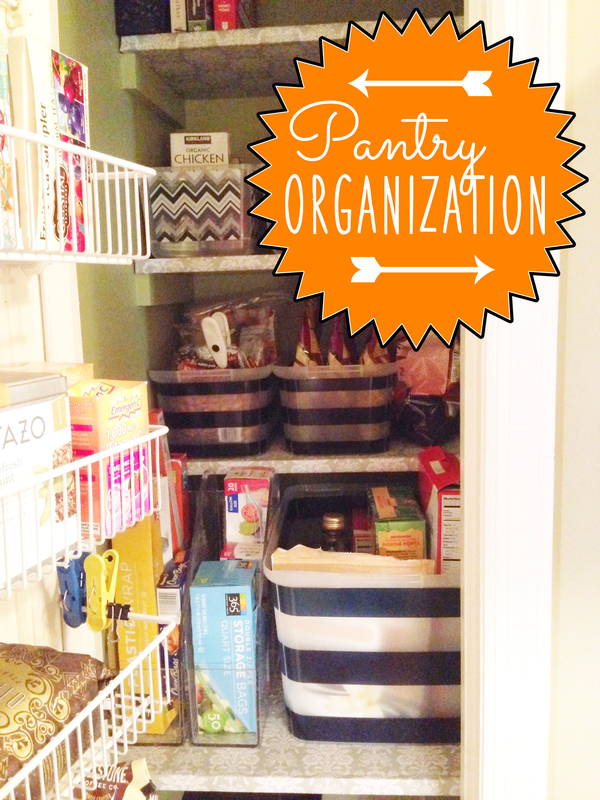 Thus, I determined it was time for a little re-organization of the little space off the kitchen – our pantry. 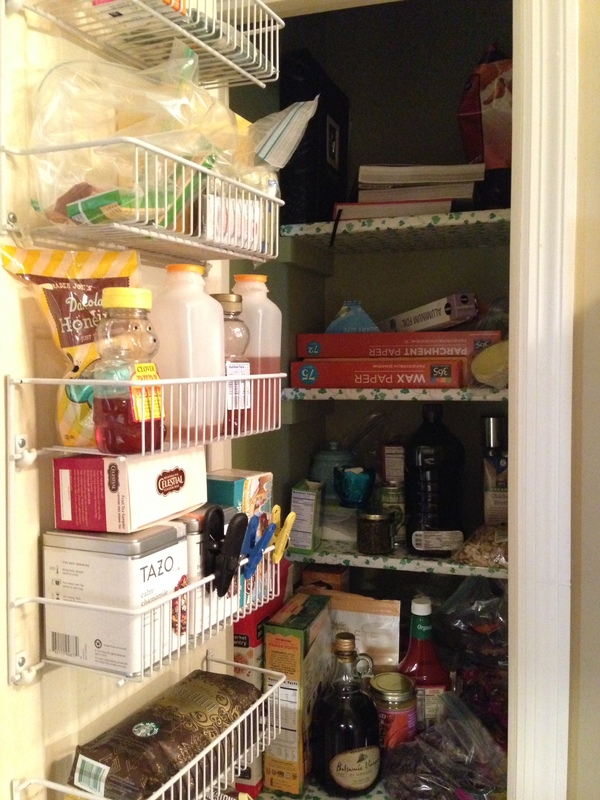 It’s a narrow pantry with four shelves. 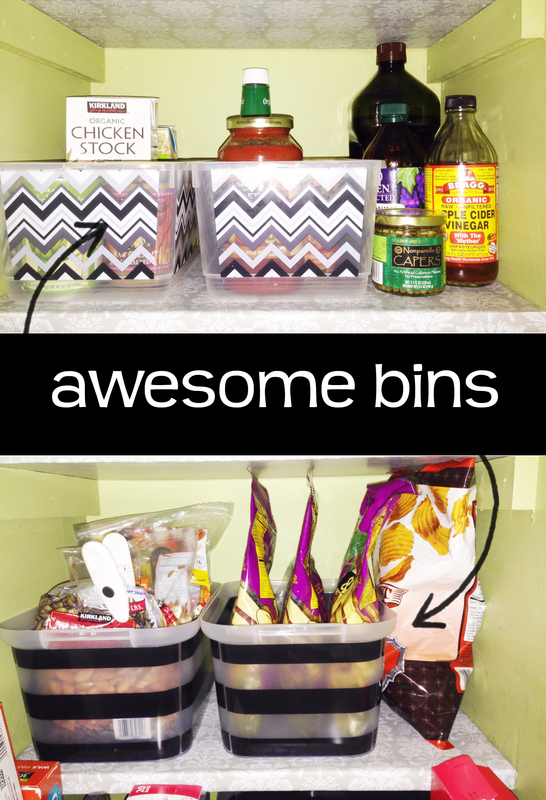 The bottom shelf, as you can see, comes out further than the three above it, so clever organization is much needed to make sure everything fits just right. Also, as you can see, the hubs in his bachelor days threw (like, literally) some green leaf shelf paper on the shelves to clean them up a bit. Props to him for the upgrade from the plane old white boards that were there before. However, the green leaves aren’t quite my style. So, those were the first to go. 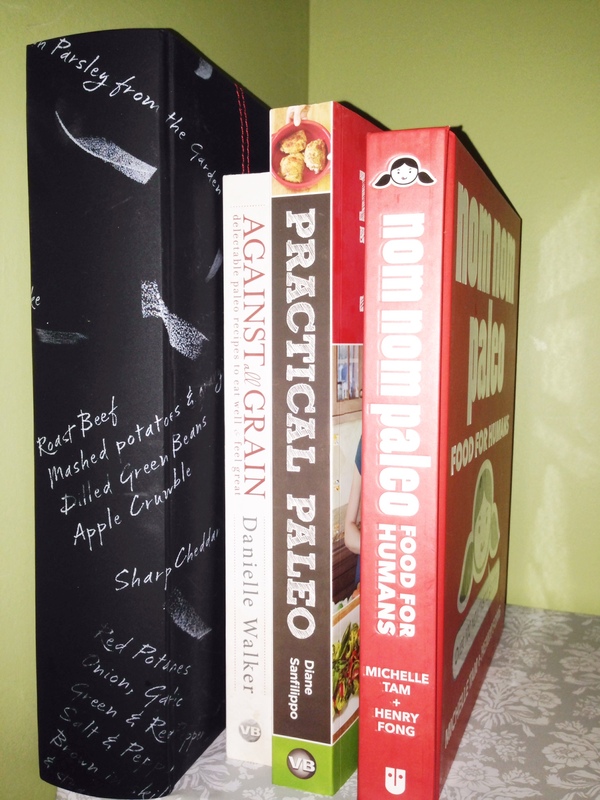 Next, I organized the cookbooks on the top shelf, and there’s still room for more. 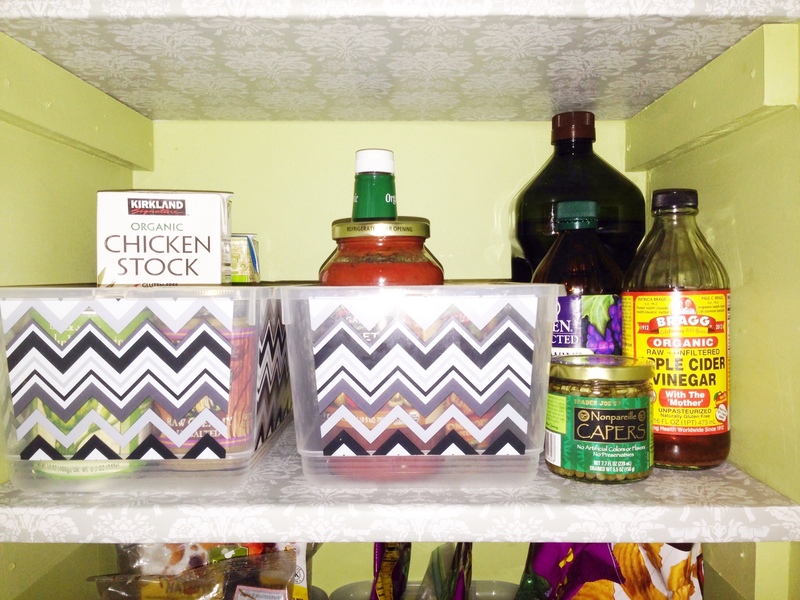 Then, I grouped the condiments, oils and canned/bottled items on the 2nd shelf. 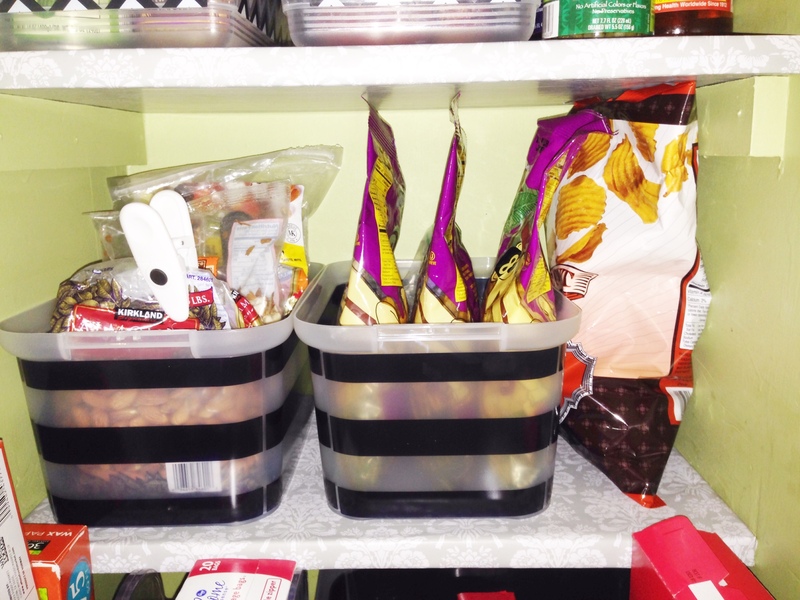 And all the snacks came next so that they’re easy to grab and go! I also grabbed a couple of clear plastic magazine/file holders to utilize for those unruly plastic wrap/aluminum/plastic bag boxes. Those things have just been falling all over the place (read: driving me bananas). 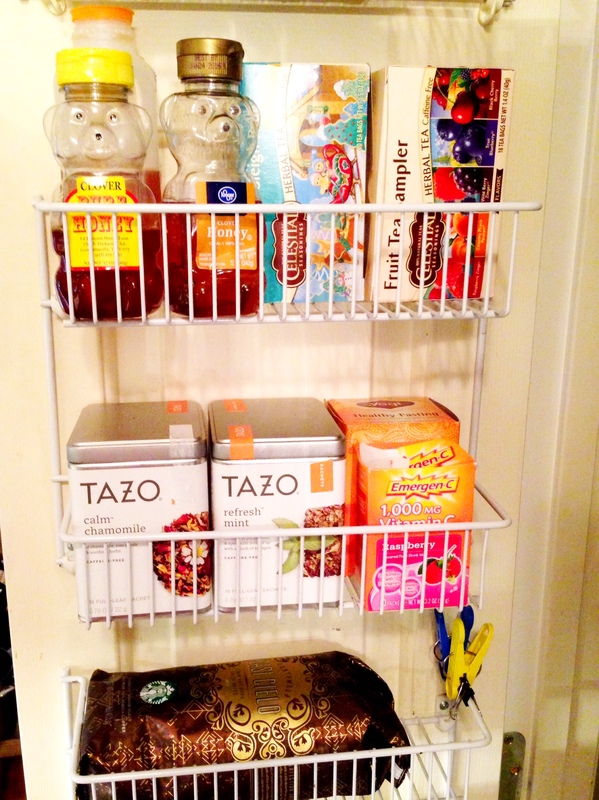 I organized the teas and coffees in a door shelf so they’re easy access.